The Rio Dange Bridge Inauguration in Huambo, Angola. The bridge was constructed by a UNAVEM engineering corp from the Republic of Korea. 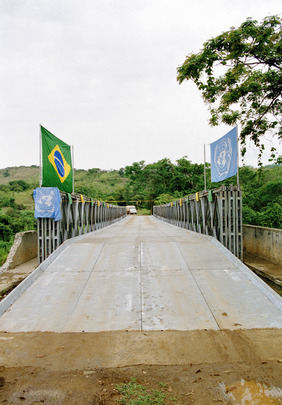 It was one of eight such bridges renovated after civil conflict damaged them. This bridge separates roads to Uige and Luanda.